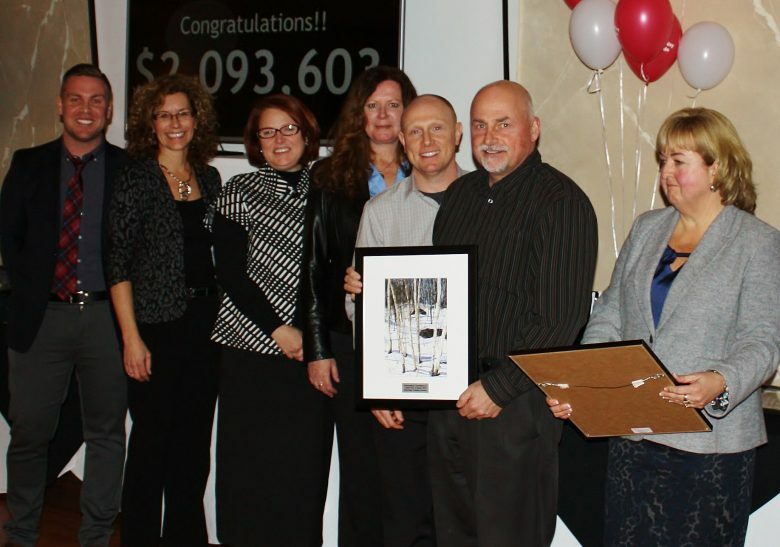 Last month Electrolab Training Systems, the company that produces SafeStart, was recognized with the Outstanding Commitment to United Way of Quinte 2014 Award. The award recognizes dedication and commitment to United Way, and Electrolab was one of just six workplaces to receive the award for contributions over the past year. One of the key criteria for the Outstanding Commitment Award is a workplace that includes United Way in its culture. At Electrolab, new employees are offered payroll deduction forms, fundraising events occur frequently and receive the full support of management, and everyone is encouraged to participate and volunteer. Electrolab raised a total of $10,770 in 2014, a 53% increase in fundraising from the previous year. It also marks the third straight year that Electrolab has increased its annual fundraising total for the United Way. This success requires participation from everyone at Electrolab, including a tremendous amount of work from Angie McConkey, Brenda Braund Pittman and Denise Manley who spearhead Electrolab’s fundraising efforts, as well as the support and encouragement of Barb Tait and the rest of the management team. Electrolab and its employees are proud to contribute to such an important organization, and they’re looking forward to an even more successful 2015!